Famed for its industrial past, Leeds has much to offer the contemporary art world. Leeds is a vibrant city with a young student population. Subsequently, the art scene in this UK-based cultural mecca is continually influenced by the unremitting influx of new residents. Here are the ten best places to find contemporary art in the heart of the city and beyond. Born and bred in Yorkshire, Henry Moore is one of the most revered sculptors of our time. Moore has left his legacy all around the world in the form of his iconic bronze statues, which can be found on the moors of the Yorkshire Sculpture Park, all the way to the heart of Hong Kong’s Central District. Having been a long-standing advocate for accessible public art, the Henry Moore Institute was established by the man himself more than 30 years ago as a centre for the celebration and appreciation of visual arts. Not only an award-winning gallery showcasing sculptors including Dennis Oppenheim and Ian Kiaer, the Henry Moore Institute also offers a multi-faceted venue for lectures and workshops, as well as a research centre, library, and sculpture archive. A 20th century Art Deco building is the quintessential location to house an art space; high ceilings and streaming light make for the perfect exhibiting set-up. Formerly the Tetley Ale headquarters and now a protected heritage building, The Tetley opened its newly-renovated doors in late 2013. The venue is curated by Project Space Leeds, a charity which facilitates the space to couple the appreciation of the contemporary arts with learning. A place which discourages the passive admiration of art, The Tetley invites interaction and the sharing of ideas. Participation is widely celebrated by Project Space Leeds, whether it occurs between exhibiting artists or amongst die-hard art lovers. As for the art itself, the galleries at The Tetley intend to provide a stepping stone for up-and-coming local artists to get their foot on the exhibiting ladder, in addition to showcasing some international names. In a city with the biggest student population outside of London, it would be absurd for the prevailing university culture not to have some influence on the art scene. Housed within the University of Leeds campus in the Grade II listed Art Deco Parkinson Building, The Stanley and Audrey Burton Gallery showcases a mix of contemporary art as well as works from the university’s special collections department spanning over 200 years. The gallery expectedly supports and promotes its students’ and its graduates’ work, in addition to displays from local artists and those from further afield. Past exhibitors include acclaimed Chinese fashion photographer Chen Man who collaborated with the gallery during the 50th anniversary of the university’s East Asian Studies programme. Formerly Leeds Gallery, Gallery Munro House is an independent venue owned by two alumni of Central St. Martins College of Art and Design. Given the background of its curators, it’s unsurprising that the gallery has a niche focus on photography, illustration, and fine art. Exhibitions at Gallery Munro House work on a quick turnaround, so there’s always new work to explore. The fast-paced nature of the space also lends itself to pop-up events, giving the gallery a consistently fresh vibe. The gallery has previously played host to the Leeds Student Photography Festival. Self-proclaimed as an “exciting new addition to the Leeds art scene,” Sunny Bank Mills Art Space resides in a restored mill which once spent its day producing worsted cloth. A former industrial site predictably lends itself to exhibiting art work, with a large, open-plan space and exposed brickwork making for airy, aesthetically-pleasing communal areas able to house large installations. Swimming in natural light, the mill’s art space is enticing for exhibitors and art lovers looking for a fresh environment full of life. Sunny Bank Mills Art Space showcases artists-in-residence for periods of around two months at a time, in addition to running workshops including life drawing and acrylicclasses. If you fancy a tipple whilst you browse, then the White Cloth Gallery should be at the top of your list. A versatile venue, it’s home to photography and film exhibitions, a café-come-bar, and an event space. The WCG Café-Bar serves food from lunch to dinner, and is a popular eatery for gallery visitors and punters from the street alike. The premise of the gallery is to fuse together both established and emerging talent to work alongside one another for a more varied gallery experience. The space mainly focuses on photographic works. A mother of Modernism and abstract sculpting, Barbara Hepworth is often mentioned in the same breath as Henry Moore due to their Yorkshire upbringing and their celebrated artistic partnerships with bronze. Although not located in Leeds itself, The Hepworth is only a stone’s throw away, and too iconic to ignore. The gallery permanently displays original working models of some of Hepworth’s sculptures from the 1950s onwards, exhibited under the name ‘The Gift.’ Visitors can marvel at the work-in-progress models cast in plaster and aluminium before they made it into the finished bronze products we all know and love. 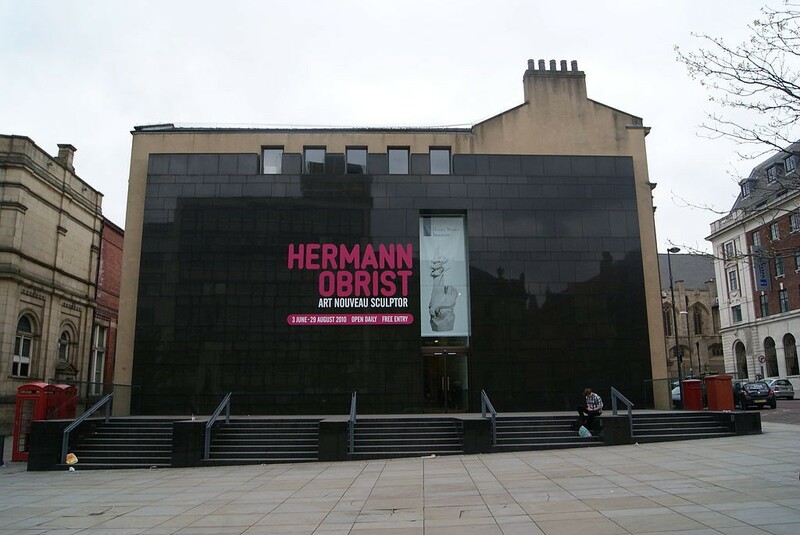 Although an ode to Hepworth, the gallery also hosts an array of exhibitions by Hepworth’s contemporaries and successors, including Austrian artist and sculptor Franz West. The undisputed home of contemporary art in the region, Leeds Art Gallery is the go-to place for a little artistic stimulation in the North. The building is one of the most recognisable in the city, and its Victorian clock tower remains synonymous with Leeds’ historic skyline. Dubbed a collection of “national importance,” the museum displays work from award-winning artists labelled a stroke of genius, to understated masterpieces from emerging talents with considerably less exposure. With vast collections of paintings and sculptures, there’s sure to be something for every contemporary palate. 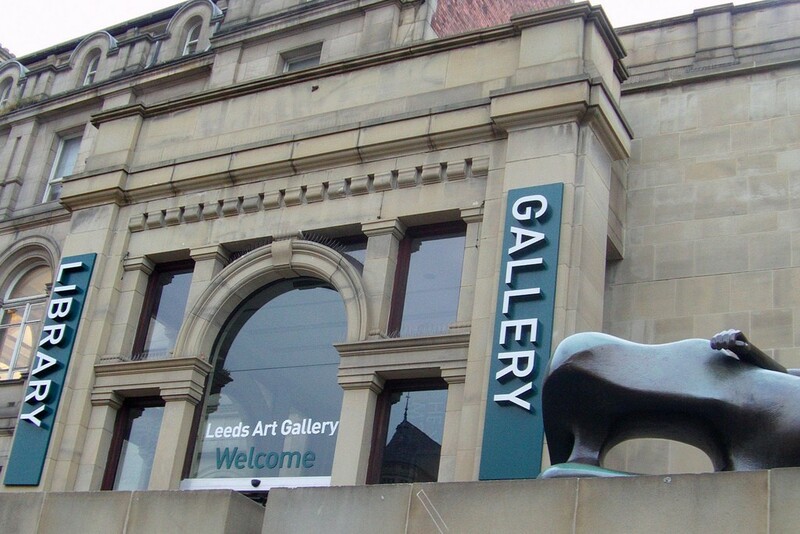 Leeds Art Gallery houses work by locals Henry Moore and Barbara Hepworth, as well as other national household names including Anthony Gormley, Eric Bainbridge, and even some Rodin dating back to 1907. As a council-funded institution, admission is free. A small but established venue for showcasing and selling contemporary design, this independent gallery celebrates the UK’s national treasures in the arts and crafts sphere. The gallery prides itself on its diverse and extensive list of artists, exhibiting up to 300 at one time. The gallery runs an impressive and refreshing exhibition programme which is continually adapted to fit in new artists who are constantly jumping on board. Throughout the year you can expect numerous exhibitions, print shows, and niche displays committed to the showcasing of ceramic, glass, and wood. The seasonal requirements of those looking to buy are also of utmost importance to the Craft Centre and Design Gallery, meaning you’ll find dedicated exhibitions from season to season. Remaining in the borough of the City of Leeds, drive ten miles outside of the city centre along Otley Road and you’ll come to the market town of Otley. Here, you will notice many a public house and picturesque scenes, but amid the rolling hills there’s a real hidden gem of a gallery. Bono Art Gallery brings a touch of the Mediterranean to Yorkshire thanks to its owner, artist Roberto Bono. His signature abstract style is epitomised by his double-sided paintings, having exhibited in both London and his native Sicily. Loyal to the region, other artists showcased have included local Yorkshiremen David Brightmore and Shane Green.